In a world cluttered with Yamahas and Casios, it can be very confusing to decide which digital piano to choose for yourself. In this article, we make the task easy for you! We are going to help you understand what are the basic considerations you need to make before buying a digital piano for yourself. We will explore all your queries and hopefully, by the end of this article, you will have a broader and clear knowledge of some of the best digital piano with weighted keys on the market today. You will be able to compare each of them based on their weight, keys, and overall features and rating. The Yamaha P105 is an 88-key model with graded hammer action that gives you similar feel as that of an acoustic piano. The 88 note keys provide heavier touch in the lows and lighter touch in the highs just like an acoustic piano. It has a 128-note maximum polyphony to make sure every note is heard and is exceptional in terms of overall sound and quality. Hence it had to be on the top of our list. The P105 features four levels of touch sensitivity for an acoustic-like response. P-105 has inbuilt circle speakers that vibrate naturally with good balance to provide full and rich low frequencies. It features line-in and line-out AUX outputs to allow users to connect to any external device without interrupting the speaker sound. P105 also offers realistic audio because of its Pure CF sampling of their CFIIIS acoustic grand piano. It is light-weighted and the feeling of the keyboard is similar to an acoustic piano. There is also an in-built duet partner available, which is amazing to open up to different types of playing styles. This flagship model from Nordic is an 88-note beauty, with the LED display that provides on-stage clarity if you are using it for stage performances. It has a greatly expanded polyphony with 120 voices and creative new piano filters. With massive sonic flexibility, the Nordic Stage 3 has three sound generating sections: Piano, Organ and Synthesizer, and they can all be used simultaneously. It provides for a seamless transition every time you change the sounds or programs while playing. The Song List mode allows you to smoothly organize a group of Programs for every song in the list. Further, every song can have 5 different Programs. The Nord Stage 3 supports Program change via pedal that allows flexible change in program while you are still keeping your hands on the keyboard. It also consists of the latest generation of Nordic’s flagship 122 Rotary Speaker simulation that adds character to a live organ performance, which further features Slow, Fast and Stop mode, and Driver control. It features “Advanced String Resonance” and “Dynamic Pedal Noise” to deliver unsurpassed level of expressiveness in the notes. 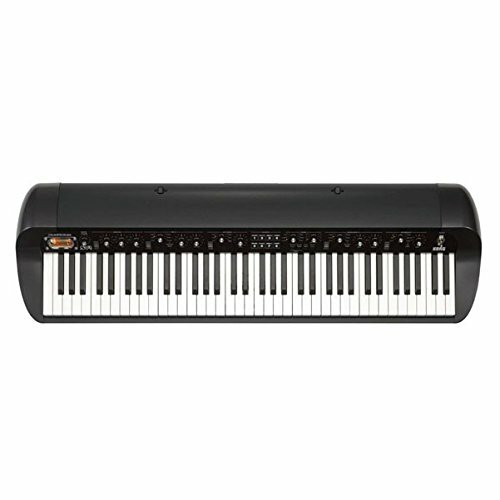 The William Legato 88 is an affordable 88-note piano that features five great sounds (piano, electric piano, organ, synth and bass) with in-built speakers. This portable piano is ideal for practicing at home as well as for performing. It also features split/ layer function that helps to combine sounds and also consists of a convenient in-built metronome. Further, the compact and lightweight William 88 comes with semi-weighted and velocity sensitive keys, which means that you can produce a wide range of volumes depending on how hard you strike the keys. The in-built 5 voices can be layered to produce two voices at the same time and can also be assigned in the right or left hand in split mode. If you are looking to carry your piano for gigs or rehearsals you do not need to worry as it can be used with 6x D-cell batteries. The semi-weighted and velocity sensitive keys help you to produce a wide range of volumes. This is a feature that you do not usually get to see in an affordable digital piano as the Legato. The Casio PX150 is an 88-keys weighted scaled hammer action piano with impressive sound recreation. The simple yet defined looking machine comes with 18 built-in tones, duet mode, layer and split function and octave shift. It can respond with tri-sensor scaled hammer action and features with it three levels of touch sensitivity. Known for being ultra light weighted, it is one of the most portable devices on the market. The versatile metronome of this digital piano scales from 20 beats to 255 beats per minute and also provides 10 preset voices with 60 preset songs for 10 user songs. The affordable price, defined look and portability makes for this machine to be a pianist’s wondrous treasure. Even if it does not have LED screen, the keys are extremely weighted and gives the feel of a real acoustic piano. It features “Damper Resonance Stimulator” that helps in speed and accuracy when you are playing it. The tri-sensor scaled hammer action keyboard features new and simulated ebony and ivory textured keys for an incredible and real feel on the notes. 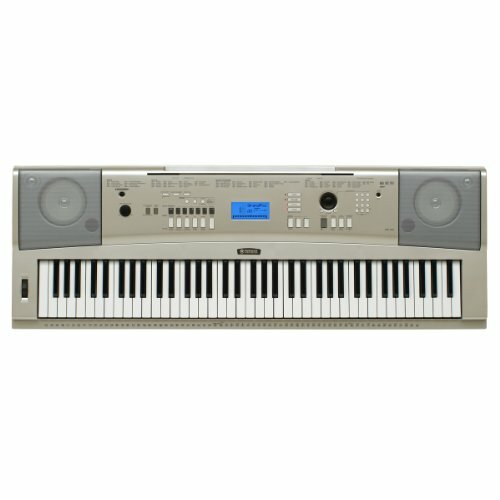 The Korg SV-1 is a stage performance 88-keys digital piano. It utilized graded hammer action keybed that feels very reasonably weighted to use. There are almost 36 of the most in-demand and coveted vintage keyboard sounds in this piano that have been recreated with great detail. Some of the most coveted sounds on the board are the German piano, the Japanese piano and the Vintage piano. These three distinct vintage sounds are absolutely smooth and soothing to the ears and they have fairly been engineered to perfection. Along with these tones are an assortment of other tones such as electric piano, synth piano, jazz, pipe organs and even brass. This retro-inspired performance styling piano has single-function knobs and switches that offer fast and simple operation. The Korg SV-1 includes XLR ¼ outputs, MIDI in and out jacks a USB MIDI port and a damper and two pedal jacks that makes it prepared for just about anything to connect with. There are 6 banks available with it – electric piano 1 and 2, Clav, piano, organ and other and it available with 6 variations. The RX (Real Experience) technology onboard has the capacity to capture the nuances of a real piano including mechanical as well as electrical noises to perfection and with clarity. This further adds great authenticity to the machine. he Yamaha YPG235 is a piano that falls under the category of portable grands. The first thing you will notice about this digital piano is its pretty design. It does not have too many buttons and has a good size to it. The weight of this instrument is perfect for anybody who like to travel a lot and carry their instruments along with them. The 2-way speaker system of the YPG235 provides to sets of separate woofers and tweeters that gives you the sheer pleasure of listening to quality sound at ease. 30 Preset songs, 5 song recording slots, 6 recording tracks. There are over 500 sounds and voices to this portable grand piano, with a total of 361 signature Yamaha XGlite voices. It comes with a six-track recording system that allows the user to bring together different layers of instruments and effects on six different tracks. This is highly beneficial to beginners who would want to learn and grade their own performances, or even for musicians who would want to experiment with putting together different instruments. Another feature of this piano is the Performance Assistant Technology that provides chord as well as free mode, specifically designed for piano players at any level to learn how to play the piano. Why Digital Piano is better than Acoustic Piano? Digital pianos have been a musician’s delight for ages now, whether it be for the sound it produces or the feel it gives. Aforementioned, they are the advanced version of an acoustic piano. The advantages of choosing a digital piano over a traditional piano is the ability to adjust the sound levels depending on whether you like to play it loud or low, as well as modifying the tuning level. There are other modern technological features in it such as, LED displays, multiple headphone inputs, metronomes, and FX. It can also be hooked straight into an amplifier without the use of the microphone. With all of these added features, you might be thinking that a digital piano could cost you a bomb but it comes at a lot cheaper cost than an acoustic piano. Some are even portable so that you can carry them with you wherever you travel! So depending on how much you are willing to spend on it, buying a digital piano is an experience in itself since you get a lighter and customized version of a real piano, that is also compact and easy to carry. An upright digital piano is designed in a way that can make it sit up by a wall. These pianos are ideally meant for practicing at home purpose and they are built in a way that makes them aesthetically pleasing by resembling the design of an acoustic piano. Stage pianos are also referred to as “portable pianos” since they can usually be carried along with you while you are traveling making them convenient and easy for live performances and gigs. These pianos don’t attempt to imitate the design of an acoustic piano, and they lack internal loudspeakers and amplification. A classic grand piano comes with a lot many high-maintenance quotes. They need to be tuned and it is ideally advised to not move them much. Unlike an acoustic piano, the volumes can be controlled and tuning can also be modified as per needs. By now we are sure you are sold on buying a digital piano over an acoustic one but that’s not enough knowledge to get you started with exploring options. A cheaper, lighter and electronic solution to the piano is not the only thing you need to know. Here’s a list of things you need to check out before planning to make the big purchase. Most digital pianos have 88 keys but the numbers could vary too. Unless you’re a professional artist, stick to this number that most pianos offer or else you would end up regretting. Here’s a rule of thumb, do not buy a keyboard with less than five full octaves, or else it would not serve the purpose for a piano. With more than 3000 unique sounds available in most pianos these days, you would not want to play around with those many bells and whistles sound, would you? For the first few times, you could have fun with it but let’s get serious, if you’re investing money into something you would want the best of it. So rather than focusing on the number of sounds available, focus on the quality of the many basic sounds that you would want to use. See if the sounds feel smooth and soft or brittle. Let this fancy word not intimidate you. It basically means the number of individual notes that a digital piano can produce at one time. It is not easy to meet the perfect notes but we are sure once you have come to full practice you will be able to meet the standards. Traditional acoustic piano keys are usually weighted. However, it might or might not be there in a digital piano. Try to find a digital piano with weighted keys because with weighted keys it becomes easier to move the keys. A good digital piano will do whatever it can on it part to give the feel of an acoustic piano. Not all, but some of the digital pianos available in the market are portable. This feature is important if you’re always on the go and travel a lot otherwise it does not really matter if this feature is available or not. Another important feature is the touch response in a digital piano. The best of digital pianos available in the market is capable of differentiating between the volumes of each note. The importance of lights, LED screens are not as significant as the touch response. Last but not the least is the budget. The higher in the price you go the more advanced are the features in your digital piano. A lot of the features depend on how much you are willing to invest in your piano. Along with the aforementioned considerations, your experience level is also important to be considered before buying for yourself a digital piano. If you are a beginner, we suggest going for a low-cost model with some added built-in features. However, if you’re an intermediate or a professionally skilled pianist, be very specific with the touch response and key weight. Digital Pianos can be a great companion for people of all ages. This musical instrument can cater to a wide audience from a professional musician to someone who uses it for leisure activity. 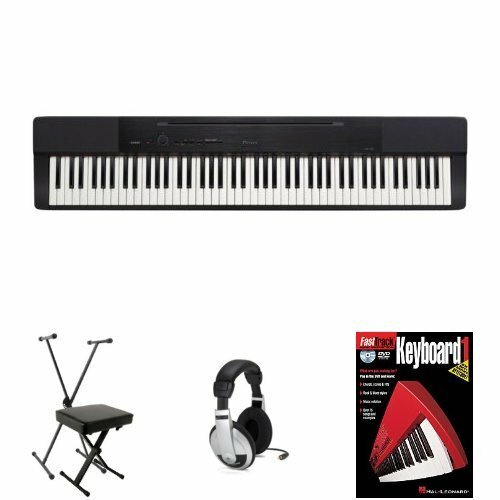 We hope this article has served you as a guide to buying the best digital piano for yourself. It can often be a huge concern if you end up buying something that becomes a total waste of money due to lack of proper information. If you have got an in-depth knowledge of the digital pianos by the end of this article, then our purpose of giving you precise and valuable information has been solved. Looking for the best digital piano? Find one that fits your budget and needs with our detailed digital piano reviews and comparison charts.